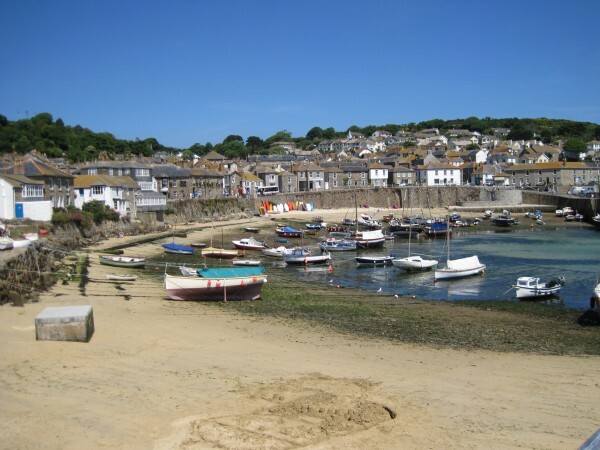 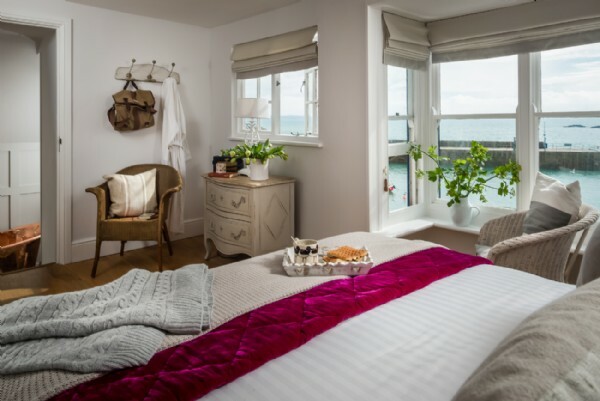 This wonderful en suite double room with views out over the harbour is the perfect place to relax and watch the tides change. 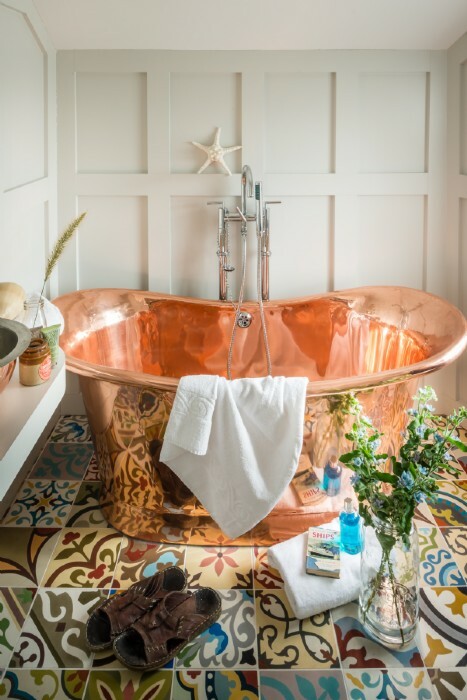 The Portuguese tiled bathroom complete with copper bathtub makes this master bedroom something rather special. 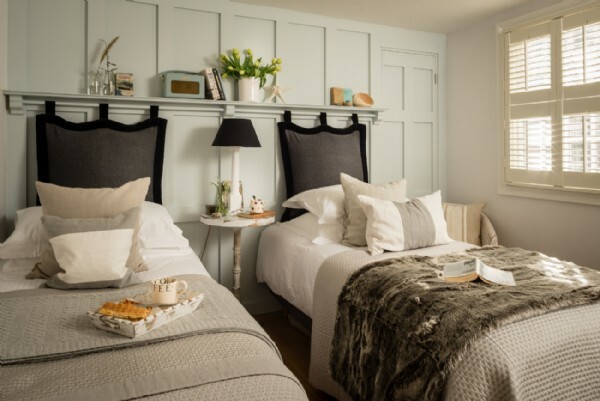 This zip-and-link bedroom can be a twin or super-king which means it suits children or lovebirds depending on your group. 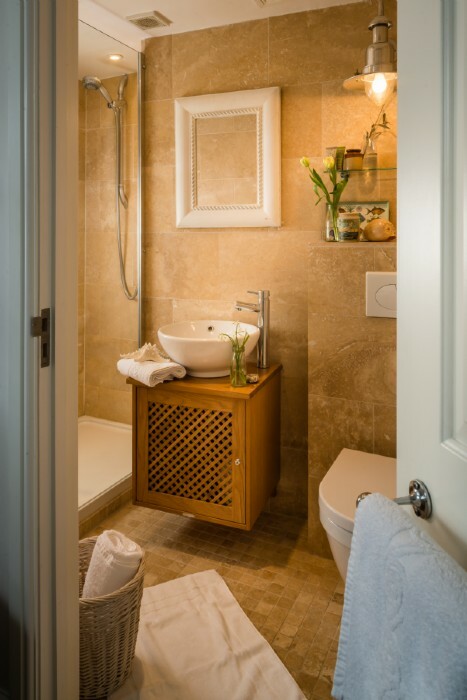 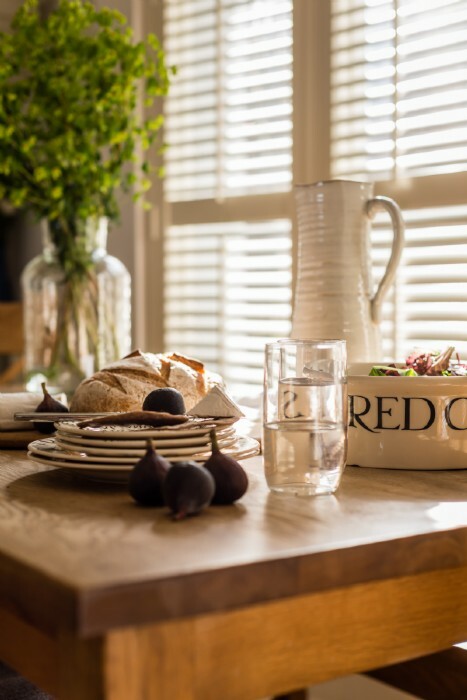 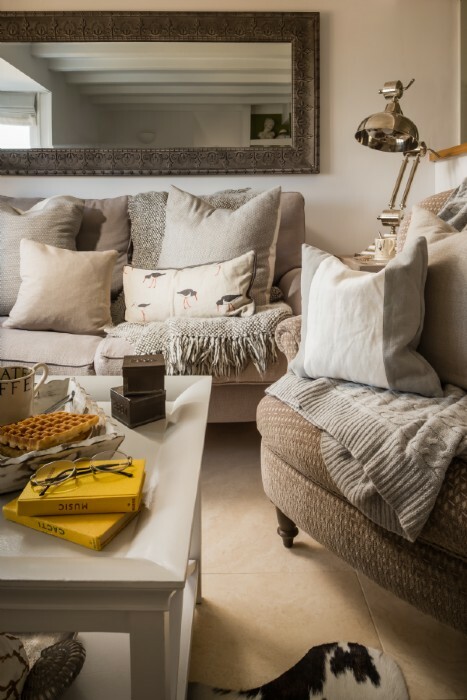 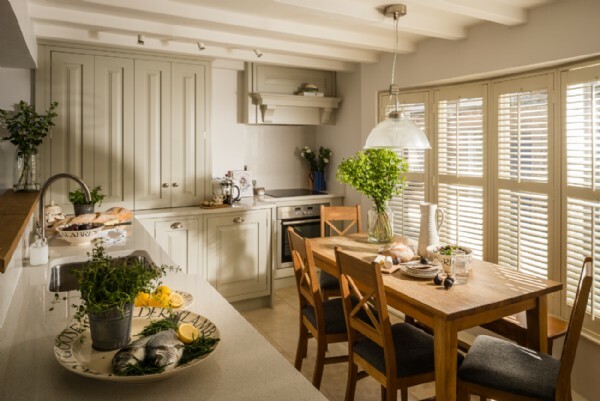 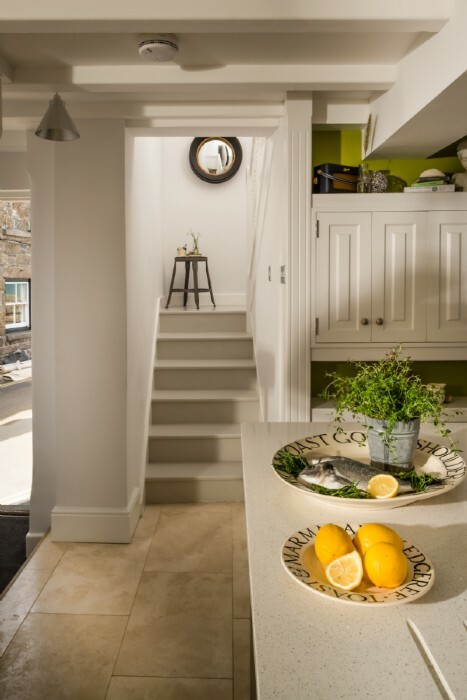 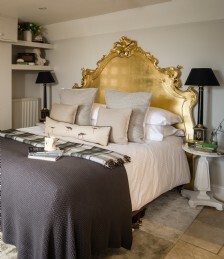 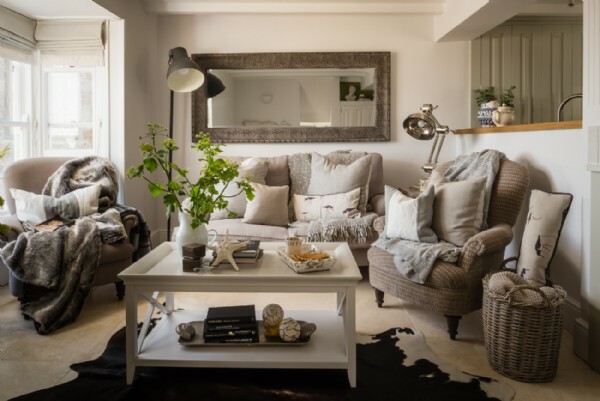 It is a quiet haven to curl up with a book amongst the soft furnishings and features an en suite shower room. 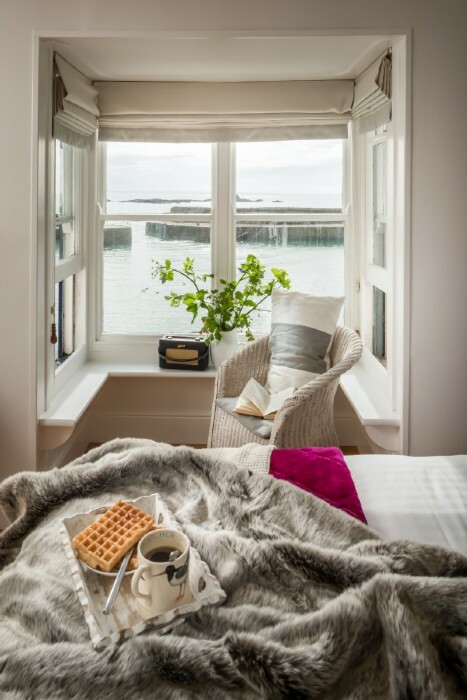 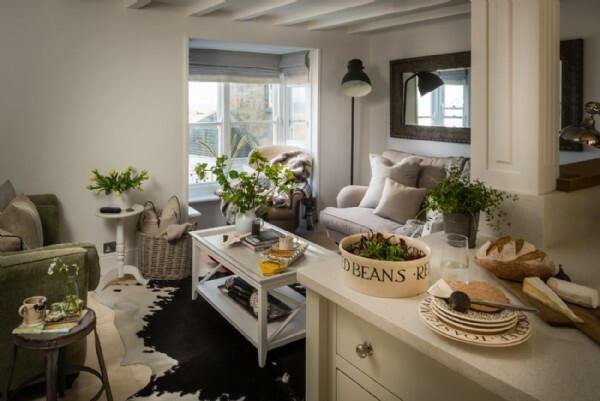 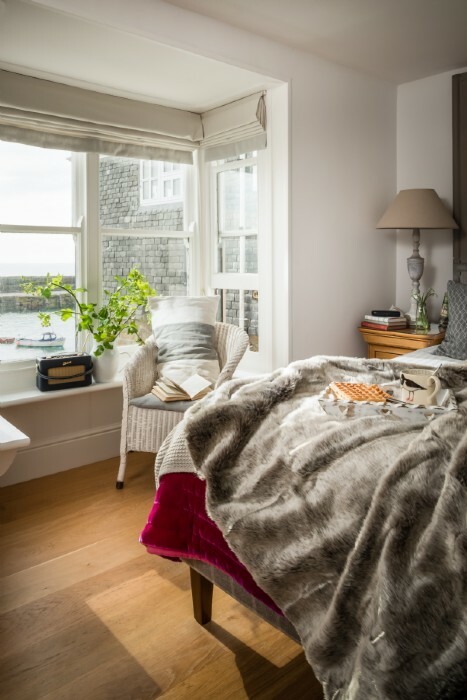 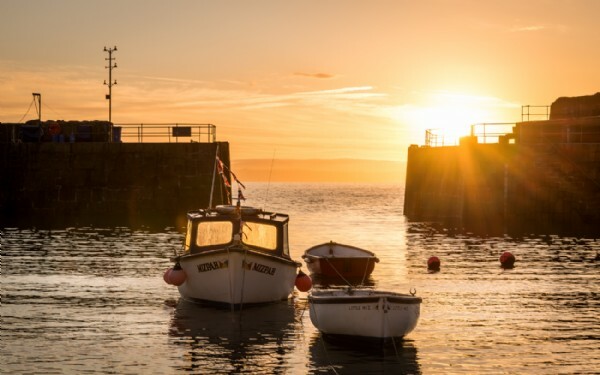 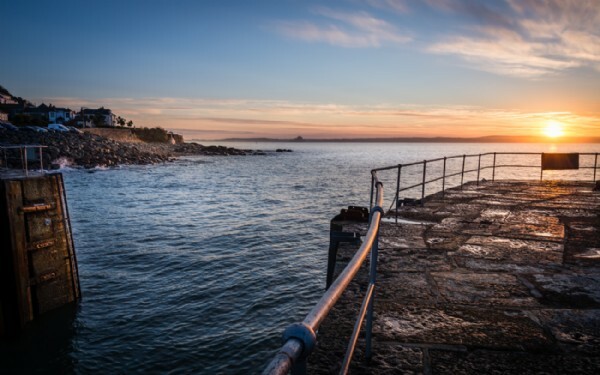 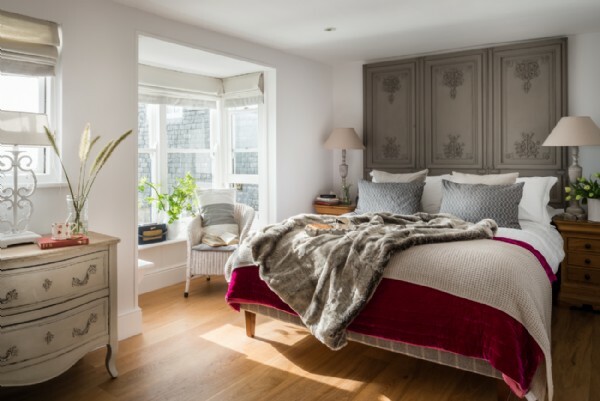 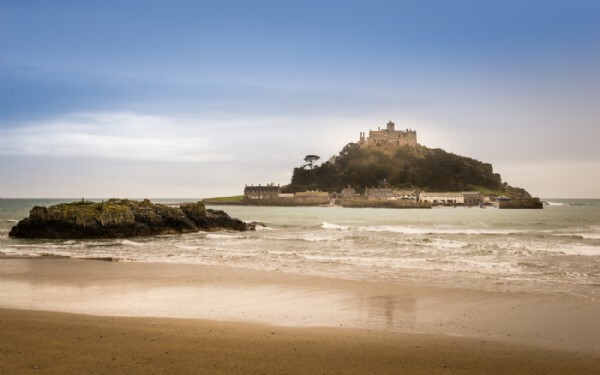 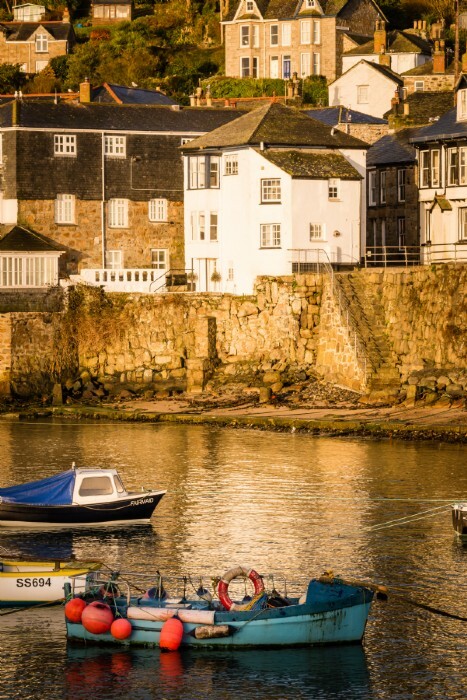 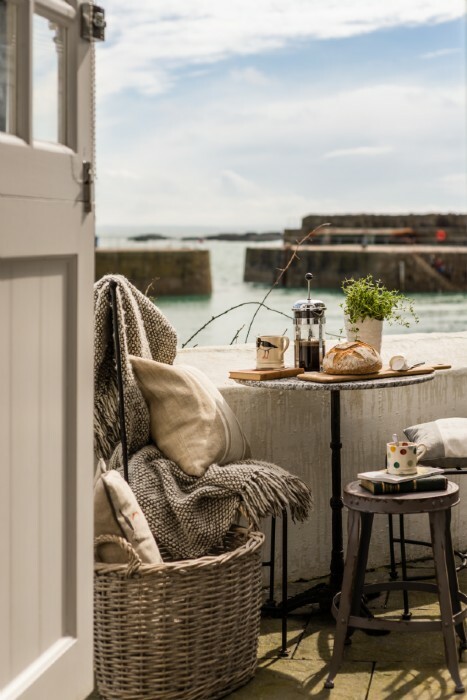 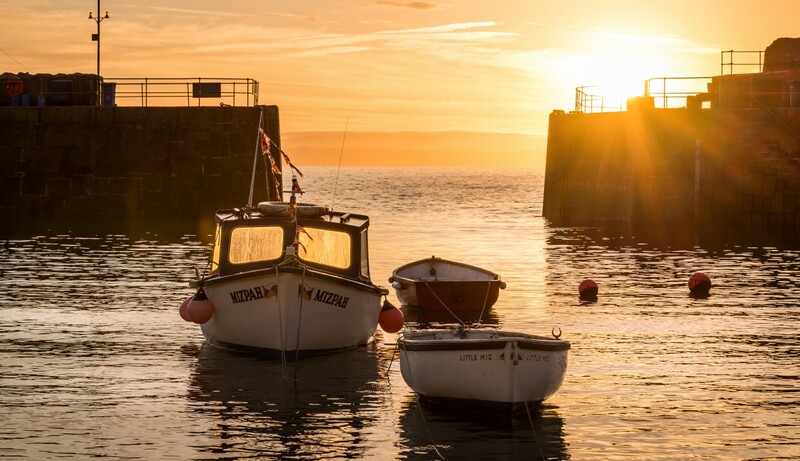 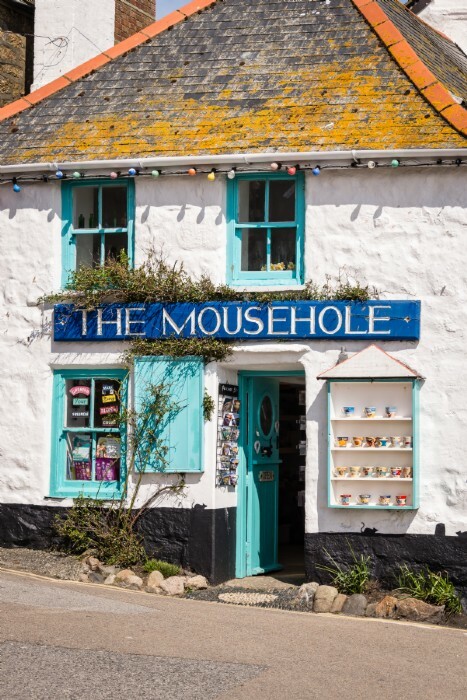 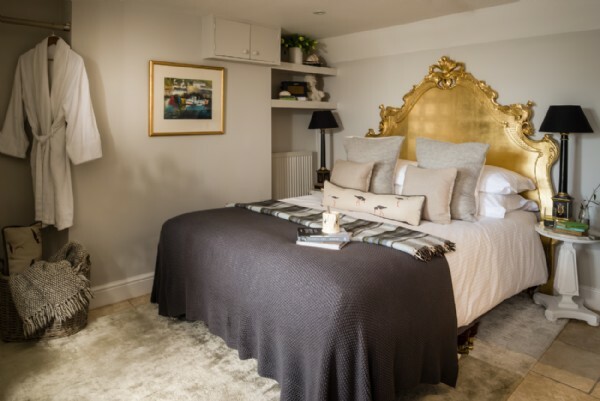 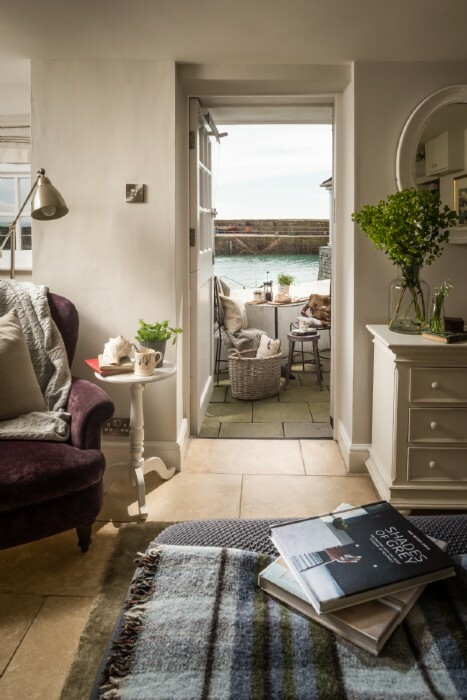 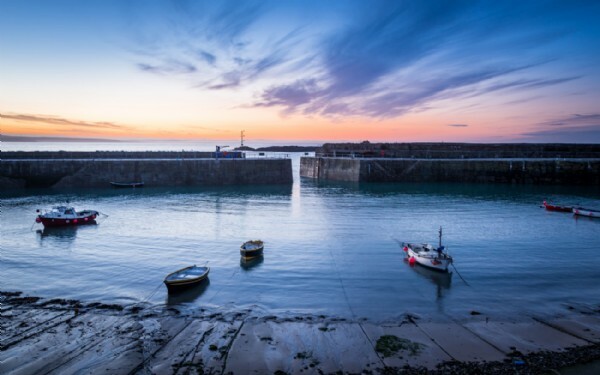 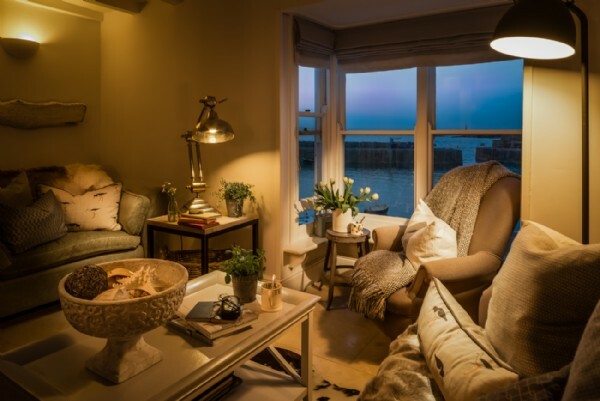 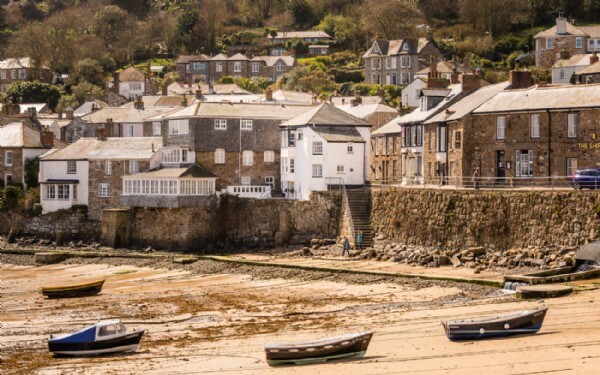 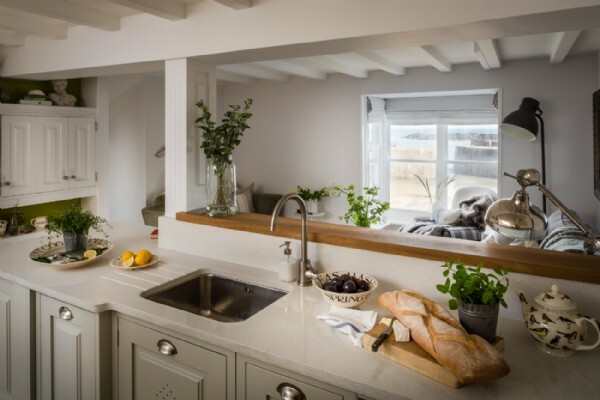 This stunning double bedroom with impressive gold headboard, en suite shower room, kitchenette and private entrance to the terrace is found in the annex; this idyllic spot is the ultimate place to enjoy a morning coffee and watch the fisherman return to the harbour. 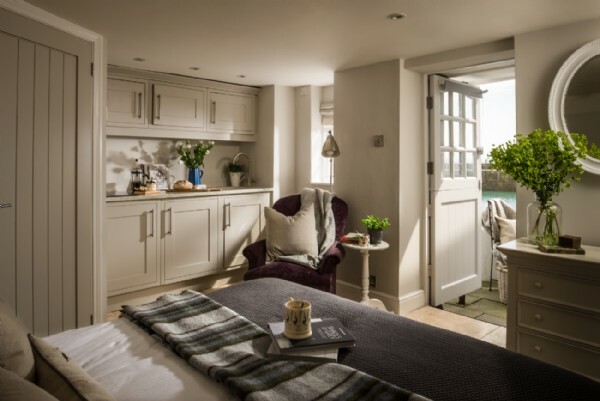 When booking the sleeps four option, the annex is unavailable.